A downed pilot with secret documents is close to drowning in dangerous waters. 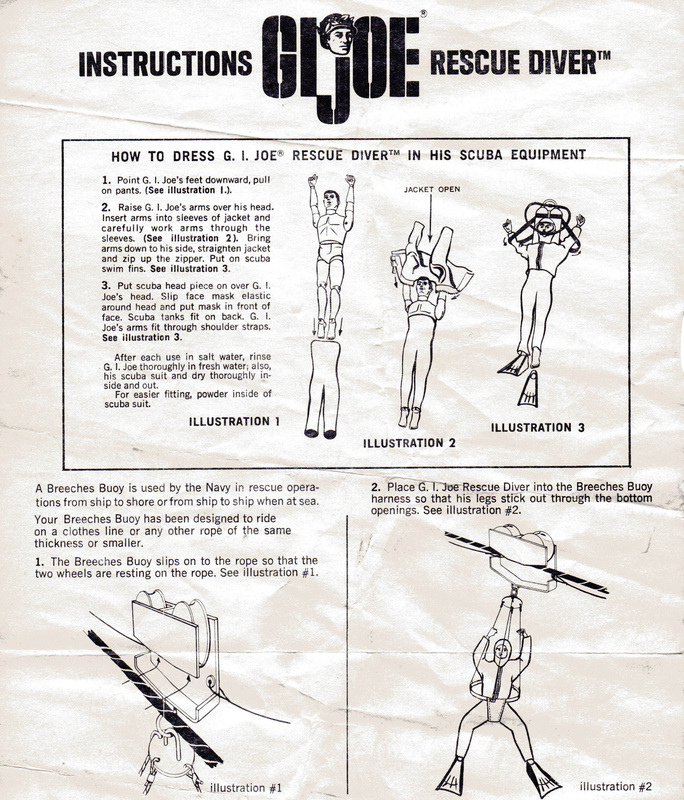 It's up to GI Joe and his breeches Buoy equipment to rescue him! Perilous Rescue (7923) combined elements of the Frogman set with a modified version of the Breeches Buoy. This Buoy only has a simple strap seat as opposed to the full orange cover of the 1967-68 version. The wetsuit has the same problems of drying and cracking endemic to the others in the line. 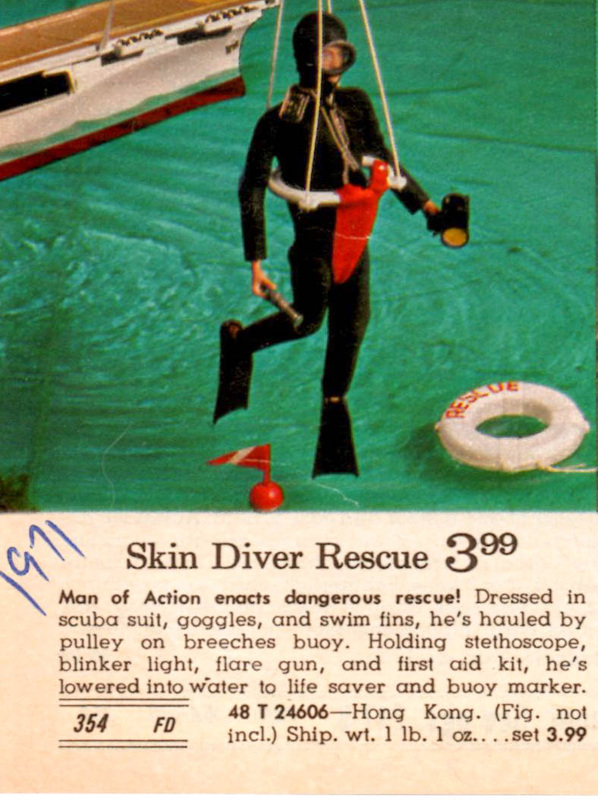 The 1971 Wards catalog was still selling Perilous Rescue, though for some mysterious reason they renamed it "Skin Diver Rescue." You have to love the out-of-scale aircraft carrier in the background.